Billy Martin, Hall of Famer? By now, everyone has heard the list of names featured on the Hall of Fame’s player ballot for 2008. Several ex-Yankees highlight the first-year eligibles, including Tim "Rock" Raines, David Justice, and Chuck Knoblauch. Raines should be elected, but won’t be, simply because too many writers lack an appreciation of on-base percentage and the rest of Raines’ well-rounded game. Justice and Knoblauch obviously don’t deserve election to Cooperstown in spite of being fine everyday players and key contributors to the most recent Yankee dynasty. In my mind, a far more interesting Yankee candidacy can be found on the other ballot—the managers/umpires ballot being considered by the Veterans Committee this Sunday. Of the seven managers on that ballot, perhaps the most fascinating and controversial storyline involves Alfred Manuel "Billy" Martin. Best remembered for being the five-time skipper of the Yankees, Martin also made numerous headlines during his stops in Minnesota, Detroit, Texas, and Oakland. Does "Billy the Kid" deserve election to the Hall of Fame? Let’s take a closer look. 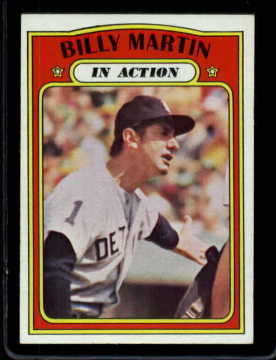 There’s a tendency to underrate Billy Martin as a player and overrate him as a manager. Perhaps that’s because most of the images that the 50-and-under crowd retains of Martin are from his combative, fiery, and turbulent tenure as a field manager. Yet, in examining his Hall of Fame candidacy, we should consider the entirety of his baseball career, including his significant accomplishments as a scrappy, overachieving player for a lasting baseball dynasty. It’s easy to forget that Martin’s playing days spanned the entire decade of the 1950s, lasting a total of 11 seasons. A favorite of Yankee manager Casey Stengel, Martin became the team’s semi-regular second baseman during the first half of the decade. In 1952, ’53, and ’56, he played more games at second base than any other Yankee; at other times, he filled in at shortstop and third base, giving Stengel depth and flexibility on the infield. A good fielder with occasional power who twice reached double figures in home runs, Martin sometimes struggled to reach base and lacked the speed to steal bases. Though never one of the best players on his own team, he did make the All-Star steam in 1956 and emerged as a decent complimentary player on teams filled with heavy-hitting stars from top to bottom. The postseason, however, saw Martin transform himself from ordinary player to clutch-hitting hero and defensive stalwart. In the 1952 World Series, he helped the Yankees preserve a two-run lead in Game Seven by catching a wind-blown pop-up that normally would have been handled by the first baseman or the catcher. He fared even better in the ’53 World Series, batting an even .500 with two home runs and eight RBIs, numbers that earned him the Series’ Most Valuable Player Award. Even in later Series, Martin continued to play well, hitting .320 in 1955 and .296 in 1956. For those who consider the postseason a crapshoot, Martin’s numbers might not mean much; for others, they represent a gritty player who performed his best when the games meant the most. After his playing career ended, Martin spent eight seasons preparing for what would become his true calling—managing in the major leagues. Working as a scout, third base coach, and minor league skipper in the Twins’ organization, Martin finally earned his first big league managing job in 1969. The Twins promoted him from their Triple-A farm team and promptly watched the rookie manager lead the team to the postseason in the first year of divisional play. In winning 97 games, the Twins improved by 17 games over their 1968 finish. 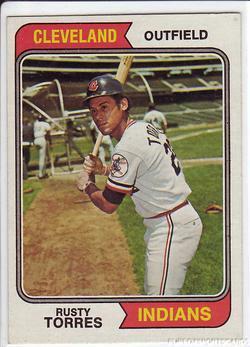 Martin extracted the most from role players like Rich Reese and Cesar Tovar, watched stars Rod Carew, Harmon Killebrew and Tony Oliva thrive in the top half of the Minnesota lineup, and helped develop two 20-game winners. Jorege Posada’s deal was made official yesterday and Posada spoke to reporters. Pete Abe has the audio. There are a lot of factors involved in these talks, including the desire of ownership, so it’s possible that the Red Sox could finish the deal. It’s possible that the Steinbrenners will push for Santana. But I would bet that if you gave truth serum to either Boston general manager Theo Epstein or Yankees GM Brian Cashman, they would tell you that they secretly hope the other team winds up giving up the boatload of prospects and dollars for Santana — because doling out this kind of package in prospects and money is not something Epstein or Cashman believe in, philosophically. I’d bet if you gave Cashman and Epstein truth serum, they would admit that they would prefer to package prospects and trade them to Oakland for Dan Haren, the 2007 AL All-Star starter who would be a much more cost-efficient acquisition because he is under contract for only $16.25 million (including an option for 2010) over the next three years. But Epstein and Cashman have to stay at the Santana table, playing this game of pitching poker, because their rival is staying at the table. Maybe, maybe, if the Yanks make a boffo deal for Santana, we’ll see Pettitte return, unable to resist the chance to win another Serious. But right now, it looks as if Andy is looking out the front door for good. Breaking News: Twins Acquire Top Prospect from AL East for Starting Pitcher! Neither Johan Santana, nor the Yankees were involved, though one might wonder how the mega-deal that sent Matt Garza and Jason Bartlett among others to the Rays for Delmon Young and others might effect both the trade market for Johan Santana (the Twins are up and outfielder, but down a starting pitchers) and the rapidity of the Rays’ rise in the East now that they have a Big Three in their rotation. Steven Goldman: I was just listening to Jon Heyman on WFAN from yesterday talking about Yankees/Santana. He says the Twins want Hughes/Melky/a couple of other guys who aren’t Chamberlain, Kennedy. Cliff Corcoran: I dunno if I can do Hughes. I could do Kennedy/Melky plus a couple B-prospects. I don’t think I can do Hughes. SG: That’s why this is hard, and why the Twins want Hughes rather than Kennedy. Scout-wise, no one is a Kennedy fan. Results wise, we know he looks great. CC: Melky’s easy though, here, take him. SG: Clay Davenport’s peak DT gave me pause. Clay projects Melky at 25 to hit .312/.378/.461. CC: Yeah, he’s Bernie Williams right now, but will he be Bernie then? I dunno. CC: Plus Austin Jackson . . .
SG: Well, Jackson may not be a CF. CC: Kevin Goldstein seems dubious about Melky as a CF, so what’s that really worth until you see him? SG: I’m dubious about Melky. The arm is great anywhere. The range I think, is not exactly Tris Speaker. It’s better than Damon, certainly. CC: Damon’s not terrible out there, but it’s all so much better than the fading Bernie, it’s hard for us to judge. SG: He looked worse than he really was because of the early back problems. CC: Yeah, and the arm makes you ignore that he actually got to that ball. CC: In left, it all works out quite nicely. I like that Girardi came out and said Damon’s the LF. That means Melky’s the CF unless he’s traded and they sign Andruw, and Matsui and his ouchie knees DH. It’s the ideal arrangement. I also like that Girardi said all three kids are in the rotation (the Andy-free rotation, that is). That helps with trading leverage as well. SG: Heyman is talking about David DeJesus -> Yankees, which wouldn’t be bad if Melky was traded. About the same level of production. CC: Yeah, but DeJesus is what he is, Melky could improve. SG: Sure. But Melky -> Santana/DeJesus, you live with that. SG: Who is going to have more value over the next five years, Hughes or Santana? CC: Could be a wash. If not, it could be a lot closer than it’s worth for the extra bodies and salary involved. SG: I dunno, Yogi. Seems to me Santana is already good and Hughes might be good. CC: That’s 100% true, but Santana is also already expensive and he’s already been good, and could be in decline already. SG: It’s very difficult to balance the chances of Santana not being who he is versus Hughes becoming Santana or even a declining Santana. He might be, but chances are he won’t be. CC: Yes, but will he be a large enough percentage of Santana to make it not worth the salary and the extra pieces involved in the trade, which will be costly as well? I’m thinking yes. Adam (NYC): It’s hard to believe that Santana will win another 100 games though…wouldn’t Hughes have a better chance of reaching that mark than a 29 year old pitcher past his prime? If the Yanks sign Santana to a 10 year extension, they’d be paying Santana $20 million a year at age 39…at the same time Hughes would be entering the prime of his career. Can you say Kevin Brown? Not a very wise business move to say the least. Rob Neyer: Adam, here’s a chance for some research. Go back and make a list of 20 pitching prospects with Hughes’ credentials. Then make a list of 20 pitchers with Santana’s credentials. I’ll bet you the Santana comps won more games afterward than the Hughes comps did. Doug (NY): A little research; according to BA, the top pitching prospects since 1990: S.Avery, T.Van Poppell, B.Taylor, Bere, J.Baldwin, B.Pulsipher, P.Wilson, K.Wood, R.White, R.Ankiel, R.Anderson, J.Beckett, M.Prior, J.Foppert, E.Jackson, F.Hernandez, Liriano. It’s too early to tell on some of them (King Felix for example), but other than Beckett, not really a list of HOFers. Rob Neyer: Exactly. Thank you for doing what I couldn’t do. Granted, Hughes has done more than Van Poppel or Taylor or some of those other guys had done at his age. But the point still holds, I think. CC: I think that last “granted” is where that argument loses me. Hughes has already had success in the major leagues. He’s not a prospect any more, he’s a major league starting pitcher. SG: Based on a weally, weally small sample. CC: Yes, but prospect + ML success > prospect . . . by a lot. CC: So the relevant points from that list are Avery, Ankiel, Prior and Wood, Beckett and King Felix. Still troublesome, but the Yankees have learned the lesson of Prior and Wood in terms of workload, and Ankiel was a fluke. Beckett and King Felix are not guys you’d give up in a Santana trade, and Avery won 47 games from age 21-23. SG: Well, Ankiel had a kind of injury. Or numerous injuries as it turned out. CC: I’m just saying, I’d make the trade and take on the salary straight up, but with all the other stuff involved, it may not be worth it. SG: You can argue it either way. CC: And indeed we have. Here’s a shocker. There are a couple of few other teams interested in the services of one Johan Santana. The Mets for one. I actually think the Mets will end up with Santana before all is said and done. As far as the Yanks are concerned, man, I don’t think anyone is untouchable in a Santana deal–Hughes, Joba, Melky, and on down the line. The Thanksgiving holiday — figure it lasts from the Wednesday before the holiday through the Monday after the actual feast — marks a boom time for shoppers and retailers. The same can be said for the Hot Stove season. Sometimes, major deals are made on or near the holiday, like Curt Schilling and the Red Sox four years ago. Other teams use the day as point to measure where they are, what they’ve done to relieve themselves of the season past and assess what needs to be done to shape the coming season’s roster. The Yankees are in great shape for 2008. And by most accounts, the coverage has leaned toward that conclusion. A-Rod is returning, and the two major free-agent questions have been answered, with Jorge Posada and Mariano Rivera signed through 2011 and 2010, respectively. Viewing the proceedings from afar in Charlotte, N.C., for the past week, I was struck by the complete lack of interest in baseball outside the bounds of the New York metro area. It’s 24/7 football and basketball, college and pro, and 6-12 page sections on local high school playoffs as their fall seasons come to an end. Major League Baseball is covered, but it’s a compilation of AP stories piled into maybe 500 words, with a lead with bare-bones information. No nuts, no bolts, no meat, no potatoes. Not even gravy. I understand that as an editor, local stories always national. You have to cater to your audience. In the South, football is a year-round sport much like baseball is for us here in New York. Chris Russo got it right when he said New York is a baseball town. It’s nothing for a baseball story to knock football, hoops or hockey off the back pages, even in the offseason. I can’t describe the relief I felt when perusing the New York papers to see story headers like "JOBA NOT A LOCK TO START." In other words, we should be thankful that one way or another, it’s always baseball season. Next stop for the Yankees: Christmas shopping at the Winter Meetings. Wrapping up 2007 and looking ahead to ’08, who were the biggest turkeys and why? Below are my picks. Agree or challenge in your comments. 1) Scott Boras: That pre-World Series-ending opt-out didn’t work out so well for the self-proclaimed "superagent." After Kenny Rogers, let’s see how many more dominoes fall. 2) Alex Rodriguez: For going along with the Dossier Master and then pulling the old boomerang move. I’m still undecided whether the situation kills the Yankees’ credibility, makes A-Rod look like a buffoon or both. The bottom line is that from a revenue perspective, they both need each other. 3) Steve Swindal: Not a good year for The Artist Formerly Known As Joe Torre’s Bigest Backer Within The Organization. DUI, divorce, and banishment from the franchise has left the two Hs to carry on. 4) Hank Steinbrenner and Randy Levine (tie): For the public relations mess that ensued from the Joe Torre "negotiation," and spurning Don Mattingly. This will be the first year since 2002 that Don Mattingly is not around for Old Timer’s Day. Not that that’s important, but clearly, there will be a void. There is an undeniably obsessive quality to blogging. Take for instance, Pete Abraham, who finally had some time to himself a few weeks ago when he announced he was going to take a break from posting for a minute. Well, um, he hasn’t. Sure, he isn’t posting as frequently as he does during the season, but he just can’t stay away. Which is good news for the rest of us, as Pete’s blog is essential reading for Yankee fans; moreover, I don’t know of another mainstream beatwriter who gets blogging more. Try as he might, Pete just can’t keep himself from the blog. Anyhow, the backpages are splashed with photos of Johan Santana today. There is nothing to report other than the fact that the Yankees are one of several teams interested in trading for the Twins’ stud southpaw. Yo, tell us something we don’t know. Meanwhile, the latest Hall of Fame candidates were announced yesterday. Tim Raines is in the group. I know many of my saber-minded colleagues–from Jay Jaffe and Steven Goldman to Jonah Keri and Rich Lederer–are all huge Rock Raines fans, and you can expect the bandwagon to beat loudly around the ‘Net in the coming months. I’m riding shotgun and there’s plenty of room. Climb aboard. Is it the Christmas Meetings Yet? Our colleague Peter Gammons is hearing that the Twins want this three-player package from the Yankees, in any Santana conversation: pitcher Phil Hughes and center fielders Melky Cabrera and Austin Jackson. Given that the Yankees will probably be asked to pay Santana a deal of at least six years and $150 million to convince him to stay, I’d be shocked if they seriously considered that trade. Part of the equation for the Yankees or any other teams, as they make decisions about a possible Santana deal, is this: Even beyond the question of swapping promising young players like Hughes and Cabrera and Jackson, how much money does it save them to have cheap players on their roster? How much will it cost them to replace a Cabrera or Jackson? Without either Cabrera or Jackson, the Yankees might have to sign a veteran center fielder in his place in a year or two. And it’s possible that within three or four years, as Santana gets older and Hughes progresses, that Hughes might become something close to what Santana will be then. And you could say the same for Clay Buchholz. Speaking of leftovers, check out this fun Yankee Thanksgiving article by Steven Goldman. The Yankees and Scott Boras are still grinding out Alex Rodriguez’s contract. Yesterday some details emerged about the milestone bonuses that will be included. Seems the contract will get around the fact that player contracts are not allowed to include bonuses connected to performance by terming each milestone along the way to the career home run record an “event,” and then compensating Rodriguez handsomely for personal appearances and memorabilia connected to each event (specifically career home runs 660, 714, 755, and the eventual career record). It’s all just a lot of money none of us reading this will ever see, but it’s evidence that progress is indeed being made on Rodriguez’s contract. Meanwhile, the Times has some fun with the Toledo Mud Hens contract offer to Rodriguez by trying to figure out how his production would translate to the minors, and los amigos Robinson Cano and Melky Cabrera have popped up in a reggaeton video (see Cano dance at :49, see Melky lip-synch at 1:06, and see Melky credited at “Melkys Cabrera” at 1:09; Jose Reyes pops up later on as well). Expect to hear “Pa La Tumba” during their at-bats in early 2008. During the 1970s, the speedy, switch-hitting outfielder played in three forfeits, including the final game in the history of the Washington Senators, a game that featured Yankee throwbacks like Thurman Munson, Bobby Murcer, and Horace Clarke. This week, Torres discusses his recollections of the other two forfeited games, one at Municipal Stadium in Cleveland and the other at old Comiskey Park in Chicago. None of us got hurt [in Washington], not like Ten-Cent Beer night in Cleveland. That one I remember real well. That was in 1973, or 1974 [The game occurred on June 4, 1974.] Now here’s the irony. The Texas Rangers against the Cleveland Indians. You get it, Rangers and Indians, Cowboys and Indians? First we go to Texas, Lenny Randle is almost hit with a pitch. Lenny Randle next time up drags a bunt, which is the old trick. You don’t retaliate by jumping out and starting a fight, you do it the way they did it. Milt Wilcox is coming over [to field the bunt], Lenny comes up with the elbow to the neck. We rumble. And the Texas Rangers fans started throwing beer on us, they started screaming at us. We couldn’t get out of the park, they’re going berserk. I’m still almost a rookie, not playing regularly, I’m on the bench, I feel like a rookie still. OK that’s over with. Now we go back home. I start looking at the newspapers, reading about the home stand, and I see that Texas is coming in about seven days [for a rematch]. I’m looking at the newspapers and I see a picture of a cowboy with guns drawn and a picture of an Indian with a bow and arrow. I’m not sure exactly, but I blame Bob Short for the one in Washington. I blame the press for this one between the Rangers and the Indians. So they decided to make it Ten-Cent Beer Night in Cleveland [on June 4]. I show up at the stadium early, like I always do. People are out at the stadium already at five o’clock and they’re having ten-cent beers, man. Forget about it. Ninth inning, ninth inning, same thing again. I was on base again at that point [after entering as a pinch-hitter]. The fans then come in and storm the field. To be honest with you, Washington, that was a black eye for baseball. This one was two black eyes for baseball. And then, of course, Disco Demolition Night, that was unbelievable. You want to hear a little bit about that one? I had a little stint with the Texas Rangers in the minor leagues and then they traded me to Chicago. Now we go to Chicago and they come up with this idea of Disco Demolition. They tell the people to come to the stadium [Comiskey Park] and bring all their disco records because they want to blow them up. For whoever doesn’t like disco. You know what, a lot of people didn’t like disco because that stadium was packed. I played that game—I started in right field that day. So I’m in right field. The first inning, somebody slings a .78 record—you remember those .78 records—it goes right by my head and sticks in the ground. It was always humid there, so that record sticks in the ground. So they announce [over the public address], "Please do not throw records onto the field." You know, they’ll have their fun in between games [when the demolition of records was actually scheduled to take place]. The people calm down, they have their beers. So we play the first game, finish the first game, and then we go inside [the clubhouses]. We’re sitting inside drinking some soda, and then all of a sudden we hear this explosion. It rocked the stadium, right. We jump up. I go outside, and the stadium was full of smoke. When the smoke started clearing, you see about 20,000 people out on the field. But that’s not all of it. The police then come, they come out on horses. It was just unbelievable. Bill Veeck was the creator of that. That was quite an experience. We couldn’t play the second game, of course, because it was forfeited. When everything cleared and the people are getting off the field, we see that they had made a crater in center field that you would not believe. So they interviewed the guy [in charge of the explosion]. The police ask him, "What the heck did you do?" He says, "I used too much dynamite. I used too much gunpowder." It was unbelievable. Those events [the three forfeits] are not something I would recommend. I don’t think it will happen again. You don’t feed a hungry crowd that way, you don’t advertise [a rivalry] in the newspaper that way because the people will take to it. And not only that, in Cleveland, we had a guy beating a drum in center field. So that only added to it! I’m a nice guy. Ask anyone who knows me. It’s true. I’m the kind of guy who’ll hold the door of a store open for a woman with a stroller, even if I’m just passing by, with no intention of going into the place myself. It’s a reflex, not even something I think about. I’m pathological about helping tourists with directions–I have to force myself not to ask it they need any help. When I see a guy with a fat wallet in his back pocket, I discreetly mention to him that the wallet is practically an invitation for a pick-pocket. I’ve been consumed with being nice since I was a kid, because I come from a family of nice guys. The first time I became aware of this was in high school. I thought my friend Phil Provost’s older brother, who was two years older than us, was cooler than cool. One day a friend of mine, some fink, I can’t remember who, reported back to me that Phil’s brother complained about me, “All he ever says about people is, ‘Is he nice?, Are they nice? '” I felt humiliated. As if I was so shallow, so desperate for approval, that being nice was the ultimate characteristic a person could have. The problem I’ve had with being nice is separating my true nice guy self from the one that is put-on. What I mean by that is that from a young age, I bought into the fantasy that if I’m nice enough to people, I will get my needs met. It’s a classic passive-aggressive stance–the futile attempt to get from the outside world what you can only do for yourself. So I would be extra nice, extra good, and when it wasn’t reciprocated, I would then allow myself to fly into a rage. It didn’t matter if I directed that rage at someone or, more often, at myself. I was being nice only to treated nicely in return. Now that I’m on my way to being grown, I’ve come to recognize the difference between my genuine niceness and the kind that is a set-up. When I’m nice because it makes me feel good, no more, no less than that, then I’m being myself. When I’m being nice to get something back, I get in trouble. When I held the door open for the woman with the stroller yesterday, I did it without thinking, just as, without thinking, I immediately focused on her response. She didn’t say “Thank you.” But instead of being angry, unappreciated, snubbed, I was just happy that I did something nice that I wanted to do. Reserve lists were due yesterday, which meant that it was teams’ last opportunity to protect their eligible minor leaguers from the upcoming Rule 5 draft. The Yankees added three men to their 40-man roster yesterday and a fourth at the end of last week to bring their total roster to 39 men. That group of 39 does not, however, include re-signed free agents Jorge Posada and Jose Molina, nor does it include Mariano Rivera, who has supposedly accepted the Yankees three-year, $45-million offer, nor Alex Rodriguez, whose record-breaking deal has yet to be finalized. Mix in those four and they’re up to 43, which is three more than 40 for those who lost count. So what’s going on? Are the Yankees going to try to hold off making those four signings official until after the Rule 5 draft? If they pull that off, I’ll be mighty impressed. The Rule 5 draft isn’t until December 6, more than two weeks away. Will MLB really stand for these sort of roster shenanigans? No matter what happens, the Yankees will eventually have to drop at least three men who are currently on their 40-man roster, and more if they’re able to talk Andy Pettitte into coming back, or if they plan on adding anyone else to the bullpen (such as Luis Vizcaino, whom Brian Cashman has said he wants to re-sign). This is one reason why there are rumors swirling around that the Yankees will release Carl Pavano to clear room on their 40-man roster, but Pavano’s just one man. I wonder if this is a sign that the Yankees are trying to swing some sort of multi-player trade for a big target. Francisco Cervelli is an actual catching prospect. He’s a switch-hitter who hits for average and has strong on base numbers, will start the 2008 season in double-A, and doesn’t turn 22 until March. On the flip side, he hasn’t shown much power, but still strikes out quite a bit, and needs to work on his right-handed stroke. Jeff Marquez, another righty starter, is a 23-year-old sinkerballer with a great changeup and a good curve who can also hit the mid-90s with his straight heater. He was the lesser half of the Trenton Thunder’s 1-2 rotation punch with Allan Horne last year and should join Horne in the Scranton rotation this year. Scott Patterson is essentially another Edwar Ramirez, a righty reliever signed out of the independent leagues who has put up some goofy numbers in the minors. The 28-year-old Patterson has spent most of the last two seasons in double-A Trenton and posted a 1.47 ERA in 116 1/3 innings with 10.52 K/9 and nearly six Ks for every walk (5.91 to be exact). Not to be confused with the former Yankee farmhand who went on to star in Gilmore Girls. After some deliberation, Mariano Rivera has accepted a more than generous offer to stay in pinstripes. It’s a legacy deal, an outrageous sum to pay for a closer, but hey, this is Rivera and this is the Yankees we’re talking about. We knew the Yanks would overpay to keep him (as they overpaid Posada), just as it was clear that nobody else was going to give Rivera nearly as sweet a deal. What might be more surprising is that A-Rod’s numbers were even more impressive than they appear at first glance, because of one area for which he’s traditionally had a poor reputation: his performance in the clutch. Rodriguez hit .333, with 98 RBIs and a 1.138 OPS with runners in scoring position. He hit .357 in “close and late” situations. He hit .500 with a 1.286 slugging percentage in 14 plate appearances with the bases loaded. At he hit .362 in September, as the Yankees climbed back to reclaim their spot in the post-season. Rodriguez, of course, renewed doubts about his clutch ability with his relatively poor performance against Cleveland in the ALDS, when he hit .267 with just one RBI. In other words, he had a bad series. On the other hand, over 162 games during the regular season, he was the one guy you wanted up there when the game depended on it. Which performance do you trust more: 583 at-bats in the regular season, or 15 in the playoffs? Yes, Rodriguez has disappointed in the playoffs in the past. But the bottom line is this. Firstly, clutch performance is mostly about luck: the same player who is clutch one year can be a choke artist the next. And two, the Yankees ought to have every bit of confidence that Rodriguez can not only get them to October, but win them a title once they’re there. Rodriguez is the MVP – and the highest-paid player in baseball – for a reason: no player provides his team with a bigger head start toward winning a World Championship. And that’s word to Big Boid. Mariano Rivera is still a free agent and so is Alex Rodriguez. However, both are expected to re-join the Yankees. Rodriguez will win his third AL MVP later this afternoon. Ah, the Magic number. It sure will be easier to appreciate his accomplishment now that it appears that Rodriguez is gunna stay with the Yankees. The convergence of A-Rod’s contract sans Boras, Barry Bonds’ perjury and obstruction of justice indictment and Derek Jeter’s tax debt to the state of New York occurs at an interesting time. Here we have three of baseball’s biggest stars: the highest paid and arguably most talented at this moment; the home run king whose record and entire baseball existence is now shrouded in an SF-shaped asterisk; and the golden boy. The first two are respected for their talent but the fan reaction to each is split. The last is the golden boy. Stories of this magnitude have the potential to shape public perception of the player. Judging from the local and national treatment of the Hall of Fame trio’s recent financial dealings, Jeter may be acquitted in the court of public opinion yet again, A-Rod and Bonds, however, may not. It was all Bonds all season as he chased Hank Aaron’s record. And it was still all about him in the past week. Four years of pursuit by prosecutors culminated in the indictment that seemed nearly certain as his breaking of the home-run record. After walking to first base at a record pace, he’ll be taking a perp walk soon for his arraignment on four counts of perjury and one for obstruction of justice. His appearance in federal court is scheduled for Dec. 7 — which used to be a free-agent deadline day in baseball and marks the opening night of the opera season at the famous La Scala in Italy. There is, however, little expectation that Bonds will sing, not after all these years of denials that he used steroids or other performance-enhancing drugs. That overshadowed all other sports news. . . .
. . . Forget all that talk about the Yankees taking away his pinstripes forever and perhaps burning them like one of those bonfires that smoked outside the ballpark in the 1970s. After his $275-million, 10-year deal is finalized, he’s destined to wind up in Monument Park, probably after breaking Bonds’ home-run mark and assuredly after filling too many front and back pages to count speedily. Now A-Rod gets more chances to flop or not in the postseason – assuming the Yankees continue their streak of 13 straight playoff appearances. Now he again gets to compete for attention across the clubhouse with captain Jeter, who must have been happy the other events reduced his headlines to near agate type. Now the tabloids can stay alert for blond strippers A-Rod might be seen with on future road trips. The old Charles Barkley “I am not a role model” Nike commercial comes to mind. We’ve discussed the athletes-as-people situation in this space throughout the season, particularly with A-Rod. For the most part, responses have taken this stance: “If he performs on the field, it doesn’t matter what kind of person he is.” Maybe that’s the right stance to take. After all, public figures or people of high social status have acted above societal norms for thousands of years, so why should we expect anything else from Jeter, A-Rod or Bonds? And maybe it’s irresponsible — and hypocritical — for the media to continue to hold these athletes to a higher behavioral standard. Ethics of reporters, columnists and editors are called into question all the time. Some reporters have published information that was intended to be off the record in order to add spice to their bylines. Other reporters have fabricated sources and plagiarized. All those philosophical components came to mind as I poured through the local and national material this week. In the last three weeks, Alex Rodriguez went from puppet of agent to “if he doesn’t want to be a Yankee, then we don’t want him” to going rogue and negotiating on his own behalf on the advice of a billionaire, to remain a Yankee. Eggo doesn’t have this kind of penchant for waffling. I still don’t know what to make of the entire situation from an analytical perspective. It could mean the end of Scott Boras, Superagent, master of securing megadeals for mediocre players. Based on everything that’s happened, as a Yankee fan, are you happy he’s back? Indifferent? Will you root for him? Even though I agree with Vincent here, I think this quote says more about the media than it does about the Bonds situation. Why is Fay Vincent still the go-to guy for cleaning up the game? It goes back to the media wanting to hold baseball to a higher moral standard, and there’s a general belief Vincent did that, through his involvement in the Pete Rose investigation and his actions as Commissioner, perhaps most notably, his banning of George Steinbrenner. But the fact is he irritated the owners for much of his tenure. He resigned in 1992 after an 18-9 no-confidence vote. If he had a better relationship with the owners, and if they wanted the game cleaned up, maybe he’d still be commissioner. Stop going to him for quotes. The writers and gatekeepers seem to be the only ones who care what he has to say. Isn’t this a lighter version of Bonds’ tax problems, except without the home run record and steroid suspicion? Adam Nichols of the Daily News is correct in his column. Jeter will be able to repair his reputation. He came through Miami situation just fine, didn’t he? A reporter and a columnist from two prominent local papers are leaving their dailies and jumping to national outlets. T.J. Quinn, arguably the best investigative reporter in the area, has left the Daily News to join the newly formed investigative reporting unit at ESPN.com. Also joining him is Mark Fainaru-Wada, co-author of “Game of Shadows.” Along with Quinn and Fainaru-Wada, 13 other reporters, already with the dot.com and mag, form the team. (If you’ve read any of his E-Ticket pieces, my fellow Ithaca alum Mike Fish, who broke the Tennessee booster scandal, is likely in this group also.) … News was released Friday that Selena Roberts is leaving the N.Y. Times to join Sports Illustrated. While I haven’t agreed with many of the theories she posits in her columns, I’ve always respected Roberts as a writer and considered her work provocative from an intellectual standpoint. She’ll be a great addition to SI, joining fellow ex-NY daily writers Tom Verducci, Peter King and Jon Heyman (all former Newsday scribes) on that staff. Speaking of Verducci, count him as the latest victim of the brass’s wrath when it comes to appearances on the YES Network. Based on comments in his Oct. 18 column, where he stated team ownership looked “cowardly” following Joe Torre’s departure, and his collaboration with Torre on an upcoming book, the Network fired him from “Yankees Hot Stove,” where he was a staple since 2003. Some other notable YES-related spurnings include: 1) Don Zimmer being banned from TV appearances on YES or from speaking to YES reporters based on his criticisms of ownership; 2) David Cone’s perfect game being pulled from the “Yankees Classics” rotation after he made a comeback with the Mets; 3) David Wells’ perfect game being pulled from the “Yankees Classics” rotation after he signed with the Red Sox. Next week … Turkey-themed Banter. Look, we all knew Alex Rodriguez was going to get a ridiculous contract. He didn’t get the $300 million guaranteed he was aiming for, but he came close enough, landing a record setting deal that has the greatest total worth ($275 million guaranteed) and greatest annual salary ($27.5 million) in baseball history and won’t expire until Rodriguez is 42 years old. We all knew Jorge Posada was going to get a ridiculous contract for a 36-year-old catcher, and he did, landing a four-year deal with an average annual salary of $13.1 million that won’t expire until Posada is 40 years old. One can justify overpaying those two because their value so greatly exceeds the other available players at their positions, and in Rodriguez’s case, so greatly exceeds all other available players, period. On top of those two deals, the Yankees offered Mariano Rivera a three-year, $45-million contract that would give him an annual salary nearly 43 percent higher than the next highest closer in baseball (Billy Wagner, $10.5 million) and would cover his age 38, 39, and 40 seasons. That’s a legacy deal, a contract that has more to do with what Rivera has done for the Yankees than what he’s likely to do over the next three seasons. It’s the Yankees showing respect and saying “thank you” to the greatest closer the game has ever seen. Yet, somehow, Rivera thinks he deserves a fourth year despite the fact that he’s coming off his worst season. Maybe it’s because Posada got a fourth year. Maybe it’s because Hank Steinbrenner just couldn’t keep his mouth shut (in confirming the Yankees offer to Rivera on Tuesday, Steinbrenner said, “He’d be, by $4 million a year, the highest-paid relief pitcher. To say that’s a strong offer would be an understatement. . . . The ball’s in their court. If they still want to look for more somewhere else, that’s up to them.” With those kind of diplomacy skills this guy could be president.) Whatever it is, Rivera is holding out for more, and I’m not sure the Yankees should give in. To begin with, the ability to close ballgames is overrated. Just look at the Blue Jays. Two years ago, the Blue Jays gave B.J. Ryan a contract that everyone thought was ludicrous. (Ryan was 30 at the time of the deal, which was for $47 million over five years. Compare that to what Rivera seems to be asking for on the verge of his 38th birthday.) In the second year of the deal, Ryan’s arm blew out on him so, after a brief period of trial and error, the Jays made Jeremy Accardo, a third-year reliever making the league minimum who was picked up in the Shea Hillenbrand dump trade the previous year, their closer. Accardo converted 30 of 35 save chances over the remainder of the season while posting a 2.79 ERA and a 1.22 WHIP. Compare that to Rivera’s 2007 season in which he converted 30 of 34 save chances while posting a 3.15 ERA and a 1.21 WHIP. Similarly, Rule 5 draftee Joakim Soria was more effective closing games for the Royals than veteran free agent Octavio Dotel, and the A’s got on just fine with journeyman LOOGY Alan Embree closing games when Huston Street hit the DL. If you look around the majors, you’ll see that, outside of Rivera, Wagner, Trevor Hoffman, and Jason Isringhausen, closers are either players who have yet to hit free agency (Accardo, Papelbon, Ray, Nathan, Jenks, Soria, K-Rod, Street, Putz, Otsuka, Lidge, Gregg, Chad Cordero, Capps, Valverde, Corpas, Saito, Hennessey) or underwhelming veterans who have found success in a role that’s not nearly as demanding as the mythmakers would have you believe (Jones, Borowski, Reyes, Weathers, Dempster). It seems that the word is getting around that it’s easier to make a new closer than pay an old one (we should be able to add Chad Qualls and Rafael Soriano to the former list for 2008, and it seems likely that the Tigers wouldn’t have thrown $7 million at free agent Todd Jones if Joel Zumaya hadn’t hurt his arm attempting to evade the wildfires in Southern California this fall). Of course, the Yankees need good relief pitchers, period, and Mariano Rivera is still one of the best relief pitchers in baseball, even if he had his worst year as a closer this past season. He is, however, less than two weeks from his 38th birthday, and greatly overvalued because of his history and his role. Unlike Rodriguez and Posada, Rivera isn’t worth such an extravagant contract relative to his peers. Francisco Cordero, who is currently a free agent, made just $5.4 million last year and is five years younger than Rivera. Cordero will certainly get a raise, but he won’t get anything near $15 million a year, and I doubt he’ll get more than three years either. The gap between Rivera and Cordero in the closers role is not nearly big enough to justify the giving Rivera a fourth year at what is likely to be double Cordero’s salary. Some think that Alex Rodriguez returned to the Yankees because he couldn’t get the money he was after anywhere else. I’m not so sure. I still believe that Angels owner Arte Moreno would have given him $30 million per year (and until Rodriguez’s signature is on his Yankee contract, I won’t feel confident that his contract talks with the Yankees aren’t just an elaborate plot to force Moreno’s hand). I’m utterly convinced, however, that if Mariano Rivera shops himself around, he will not get a single offer to rival the three-year, $45-million deal the Yankees have offered him. Rivera has threatened to join Joe Torre in Los Angeles, but the Dodgers have a good, inexpensive bullpen (their closer, Takashi Saito, the highest paid of the bunch, earned an even million bucks in 2007). Any team would benefit from adding Mariano Rivera to their pen, but there’s no reason for the Dodgers to pay Rivera much beyond the going rate for established closers, which seems to be about $7 million a year, and there’s really not much reason for them to even offer that much. Heck, the highest paid starter on the Dodgers staff will make $12 million in 2008. If Rivera bolts, the Yankees can go after Cordero at half the cost, or they can let the kids audition for the job. I’m sure the Yankees have an Accardo of their own among the young arms on the bubble of the major league roster. The requirement is that the Yankees avoid the temptation to make Joba Chamberlain the closer in Rivera’s absence. Yes, Chamberlain would excel in the role, but, as we’ve just seen, finding a closer isn’t hard. Finding an ace starting pitcher, which Chamberlain has the potential to be as early as the 2008 season, is. 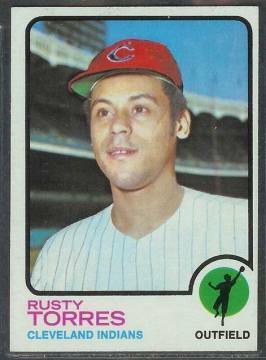 If you were born after 1965, you probably don’t have many memories of Rusty Torres in a Yankees uniform. A lean, switch-hitting outfielder in the Roy White mold, Torres played for the Yankees in 1971 and ’72 before being packaged to the Indians as part of the deal that brought Graig Nettles to New York. Torres never became a regular, instead settling for a journeyman nine-year career that included stops with the Angels, White Sox, and Royals. In contrast to some pedestrian players, Torres’ story is far more interesting than that of a backup. After signing with the Yankees’ organization, the Puerto Rican-born Torres became an unofficial liaison between Yankees management and Latino players. Having spent much of his childhood in Brooklyn, Torres became fluent in English, a skill that helped him serve as an interpreter for the Yankees’ young Latino players and prospects. For this, he received no extra pay, and seemingly no extra consideration from manager Ralph Houk when it came to playing time. On one occasion, Torres challenged Houk to play him every day for 20 consecutive games; if Torres flopped, he would pack his bags and head back to the minor leagues. Houk refused the offer. The Government Do Take a Bite, Don’t She? Man, you think Captain Wunnerful is thankful for Barry and Alex today? Saved him from making the front pages, that’s for sure. What’s a little problem with the tax man when compared with the Bonds fiasco or the Rodriguez affair? Still no word on Mariano, yet. Reports have it that he’s holding out for a fourth year, that he wasn’t thrilled with Hank Steinbrenner’s comments after the Yankee offer was made public. The Yanks did sign Jose Molina, however, to a two-year, $4 millon deal. Finally, here’s an interesting bit on Rodriguez from Alan Schwarz. Whatta ya hear, whatta ya say? Schmooze away! The details still need to be worked out, but it looks as if Alex Rodriguez is coming back to the Yankees, to the tune of 10 years, $275 million. Here is the outline of the deal, and the first look into how it all went down. The story was released tonight shortly after the Barry Bonds indictment story had a good hour of the newscyle headlines. Many Yankee fans that I spoke with today were unhappy to hear that Rodriguez was coming back, even if some of them softened their stance after learning that Rodriguez approached the Yankees without his agent, Scott Boras. I assume even more will stop worrying and learn to love the bomb when he’s knocking in 40 dingers a year. Still, my initial feeling was that Rodriguez will have to be part of a World Series winner or approach Barry Bonds’ home run record before he is ever truly embraced by the baseball public, let alone Yankee fans. Only Bonds and Boras getting flogged could possibly make Rodriguez look okay in comparison, and guess what? It happened. Now, Boras takes a massive “L” and Bonds is really in the soup. Rodriguez? He’s only about to sign the biggest contract in baseball history…for the second time. How you like me now, indeed. He’s already a Hall of Famer six ways to Sunday, and he’s only 32. He always hustles. I’m eager to keep watching him play for the Yanks. So he’s not perfect, he’s got two left feet when it comes to handling things. He’s like a manicured, movie-star/jock version of Michael Scott–he always says the wrong thing. He’s not as funny, but he’s often just as painful. And like Scott, he just wants to be loved. In a strange way, I find his A-Rodness endearing, even if it is annoying. So, he’s meshugenah? Since when doesn’t that play in New York? The last time the Yankees had an open casting call for third basemen, I spent three weeks poring over the team’s options only to have Alex Rodriguez swoop down and render it all meaningless. A bit gun shy from that experience, I’d held off pouring over the Yankees’ third base options this offseason until yesterday morning. Thankfully it only took a few hours for Rodriguez to strike me moot once again. A 10-year megadeal for about $280 million — yet another record contract for A-Rod — is expected to be completed in the next day or two. There is a great deal of optimism that an accord can be struck soon, as the sides were down to discussing incentive monies and contract language, an indication they possibly were in the final stages of negotiation. But while an agreement seemed extremely likely, both sides cautioned late Wednesday that it had yet to be completed. The new contract is likely to include an unprecedented incentive package that could put the total package at well over $300 million. The Yankees’ spin on this sudden about-face was that they didn’t go back on their word not to pursue Rodriguez after he opted out. Rather, Rodriguez came crawling back to them. In the words of Hank Steinbrenner, “Alex reached out to us. He wants to be a Yankee. . . . he made clear he’s willing to sacrifice something.” What that something is remains unclear. If you can sign Alex Rodriguez, you do so; he’s worth somewhere around the $30 million a year he’s supposedly asking for to a team that’s on the brink of contention right now. His decline phase may well be worth that kind of money as well, given where the marginal value of a win is headed, and the additional revenues that Rodriguez can generate as he chases down some of the game’s most hallowed records. Me, I’ll wait until the deal is final and I hear Rodriguez speak before adding my two cents. I just hope that the new contract doesn’t include any of those pesky opt-out clauses, at least not for the first three-to-five years. Over at ESPN, Buster Olney confirms the Daily News report from earlier today that Alex Rodriguez is in fact talking directly to the Yankees, sans Scott Boras, about staying in New York. Here’s the story.